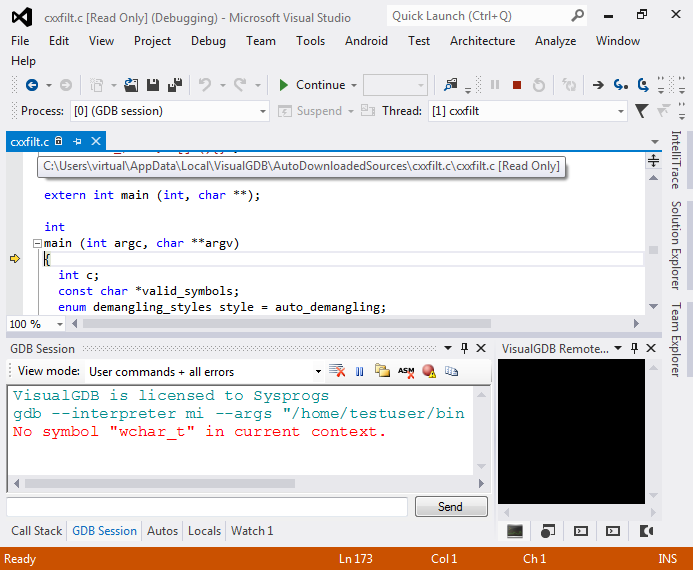 If you step into a function that is defined in a file that is missing on your Windows machine, you won't have a problem: VisualGDB will seamlessly download the missing file to a temporary directory and make open it in Visual Studio. The files are downloaded instantly over the SSH session used for debugging making it extremely fast. And you can always browse through all source files known to GDB, download and open any of the files with just one mouse click. You can read more about auto-downloading of source files here.